A look inside the Benzier Family Winery. InGrowing up in Sonoma County, vineyard-covered hills were part of the everyday landscape and wine festivals were a community event before words like decanting and viticulture became part of the American lexicon. I never thought anything of all the wineries I’ve visited throughout the years until recently. Sonoma County has become a tourist destination, and it’s only fitting that I devote a part of the travel section of this blog to my home turf. Even though it might not be travel in my eyes, I hope that it will be a valuable resource to others. That being said, I have a lot of backtracking to do in writing my reviews! I’m going to kick things off with Benziger Family Winery, one of my favorites. I had paid this winery a couple of visits several years ago, but it wasn’t until Dominic’s parents arranged a tour last summer that I realized how unique Benziger is. Located in Glen Ellen, this family estate has been in the business for over twenty years. During our last visit, we took a tram tour and learned about the winery’s biodynamic farming practices, a holistic approach that promotes the individuality of the land by minimizing outside influences and recycling all farm and wine residues back into the vineyards. We then stopped by the fermentation facility and crush pad, as well as the barrel caves. 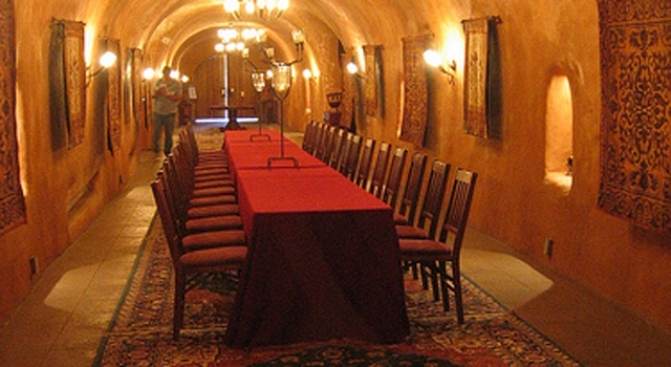 I loved the barrel caves - the cool, dry air was heavy with the scent of fermenting grapes and the underground dining room was the perfect spot to stop and taste some wines. Once we were back outside, we stopped at the Benziger gift shop and sampled some more wine. (Because one tasting isn’t enough.) The staff is helpful and more than happy to describe the different varietals and farming practices. After visiting, there are a host of restaurants to visit down Highway 12. We went to Cafe Citti, a Italian restaurant serving casual fare that goes perfectly with the local wines.